Spend a semester at one of more than a dozen universities spanning from Australia to Spain and deepen your understanding of mechanical engineering issues in a global context. 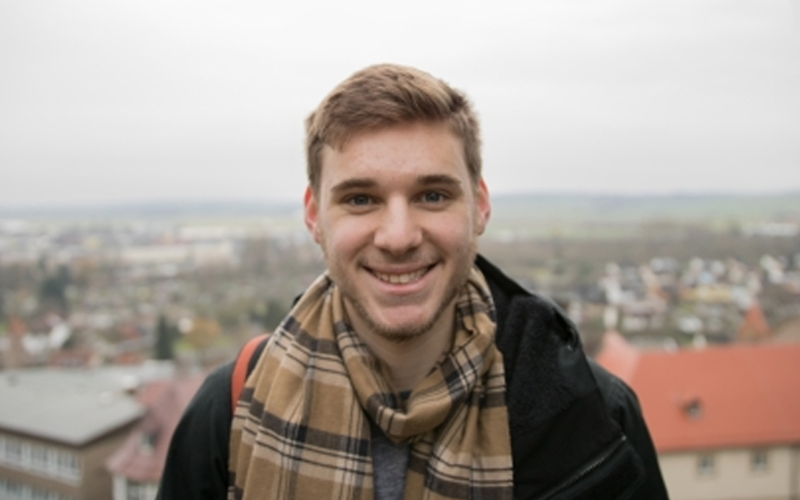 Mechanical Engineering Student Richard Moglen studied abroad in Germany at the Kassel International Winter University, just one of many options available to engineering students. The Clark School's Office of International and Leadership Programs offers a range of semester-long study abroad opportunities tailored for mechanical engineering students. Mechanical engineering students typically study abroad either semester of their junior year, or fall semester of their senior year through several of our exchange partners or the Clark in Madrid program. With permission, mechanical students can study abroad in the spring of their sophomore year if students have a compelling reason. For more information, visit: https://eng.umd.edu/global/study-abroad/mechanical-engineering or make an appointment with the Office of International and Leadership Programs.